Don’t look for someone who will solve all your problems. 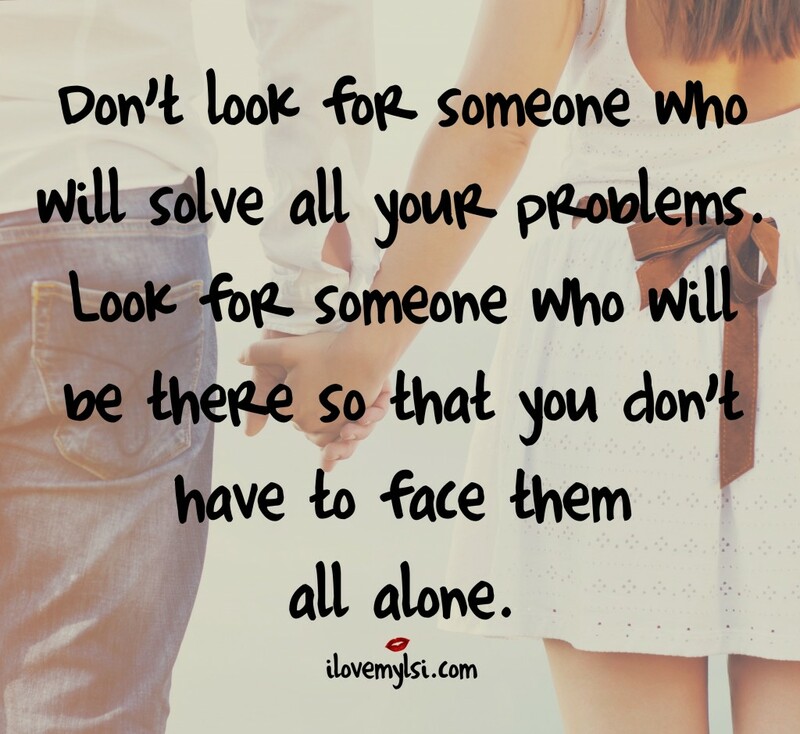 Look for someone who will be there so that you don’t have to face them all alone. Last Chance: Should You Get Back With Your Ex?